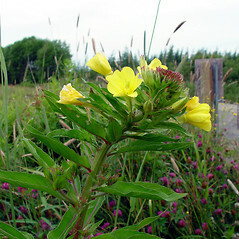 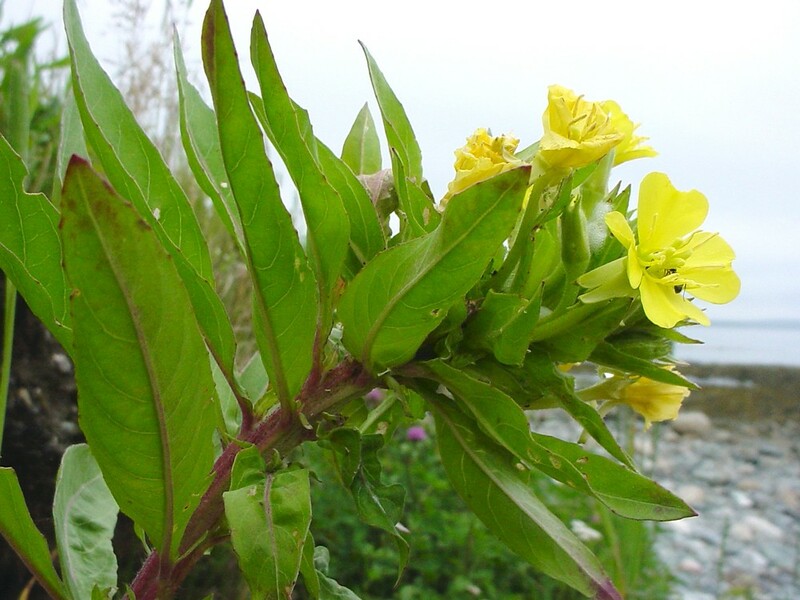 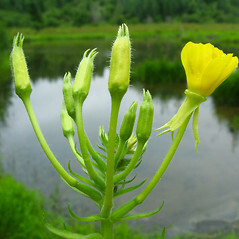 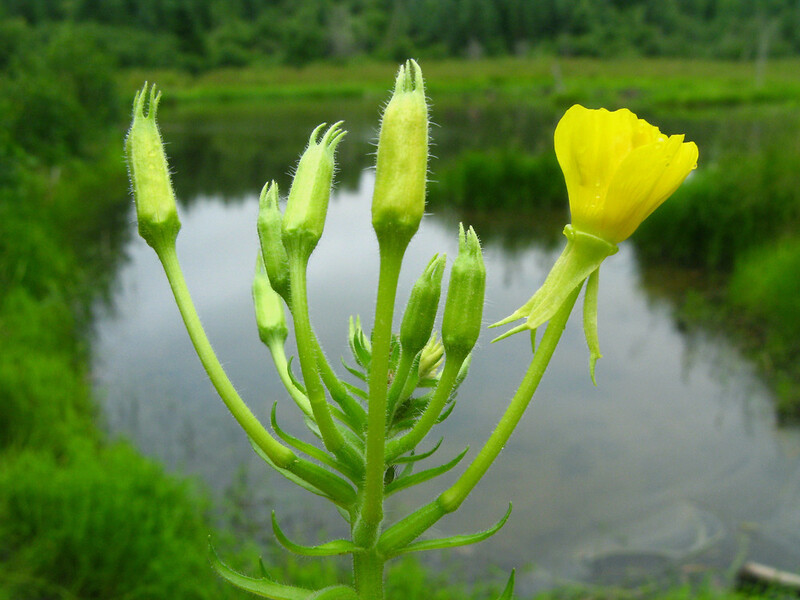 Small-flowered evening-primrose is a biennial or perennial native wildflower that can grow to five feet (150 cm) in height. 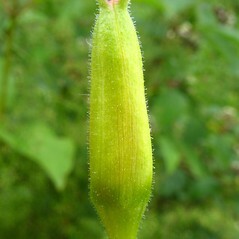 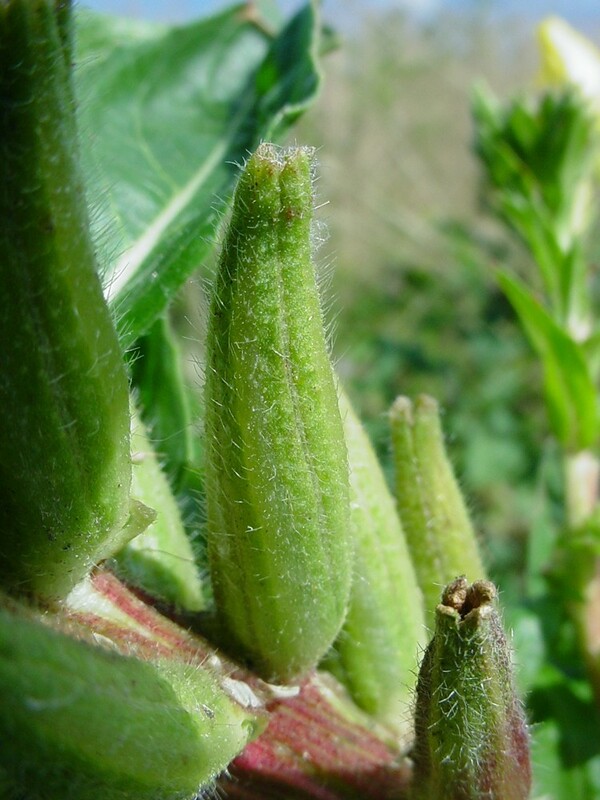 The stems are variably hairy, and the hairs may have glands at their bases or at their tips. 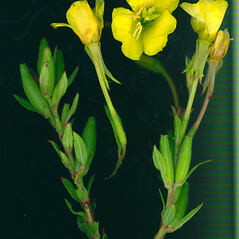 the plants densely and uniformly hairy with minute, appressed hairs (vs. O. parviflora, the plants variously hairy with a mixture of blister-based hairs, glandular-hairs, and/or minute, appressed hairs). 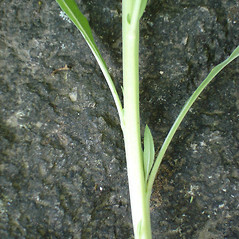 sepal appendages borne at the true tip of the sepal, therefore, the true tip not projecting as a small scale below what appears to be the apex of the sepal (vs. O. parviflora, with the sepal appendages borne just below the true tip of the sepal, therefore, the true tip appearing as a small, scale-like projection below what appears to be the apex of the sepal). 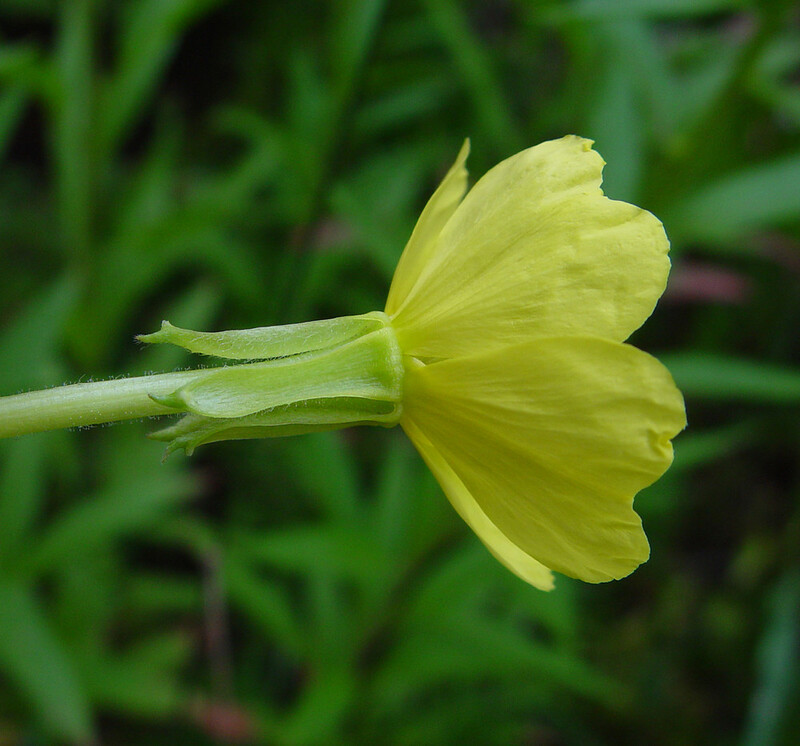 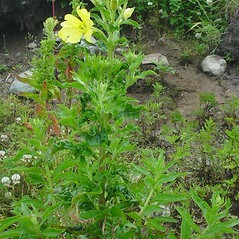 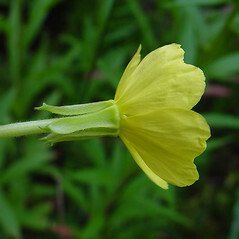 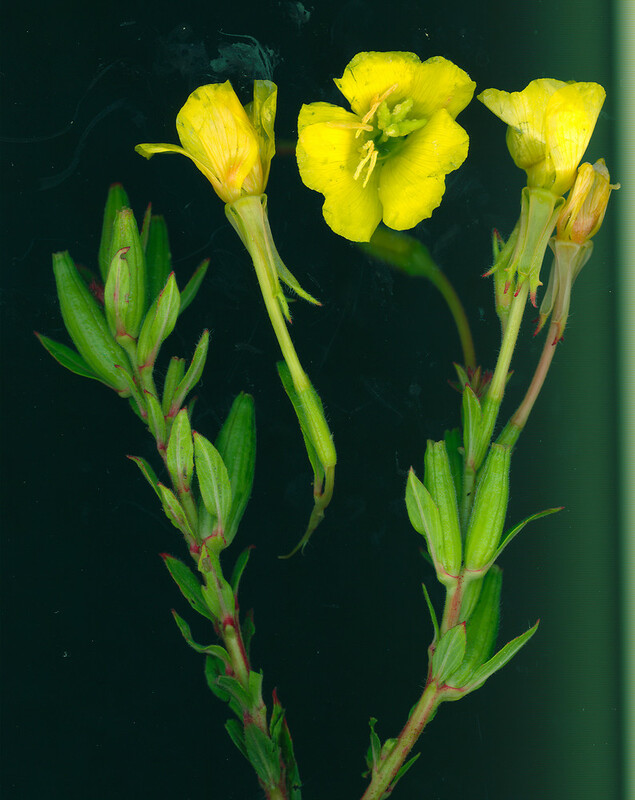 Oenothera cruciata Nutt. 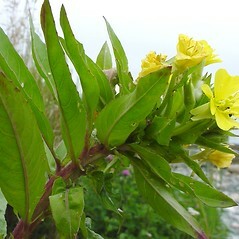 ex G. Don var. 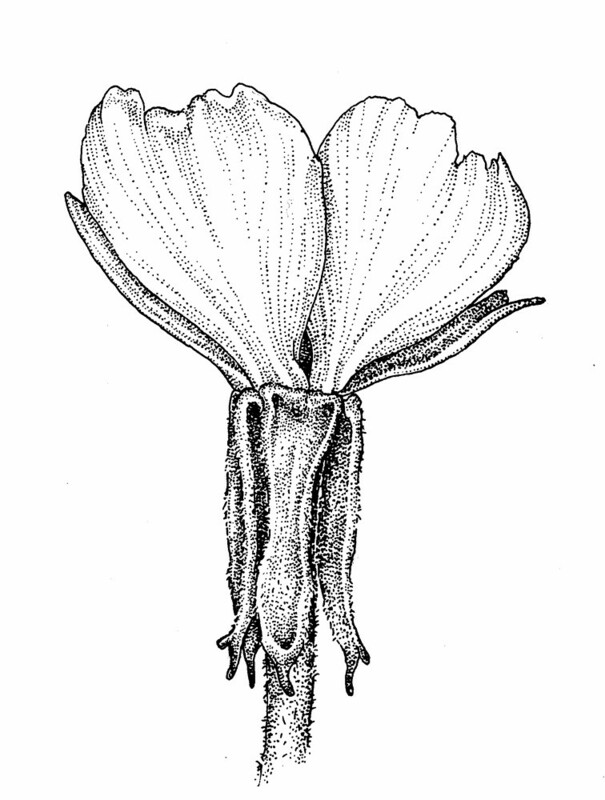 sabulonensis Fern. 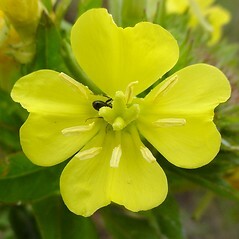 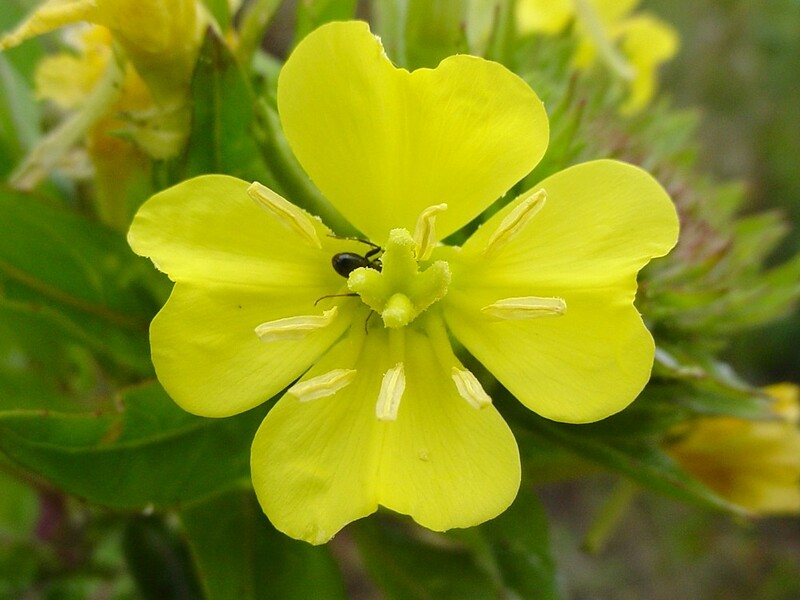 small-flowered evening-primrose. 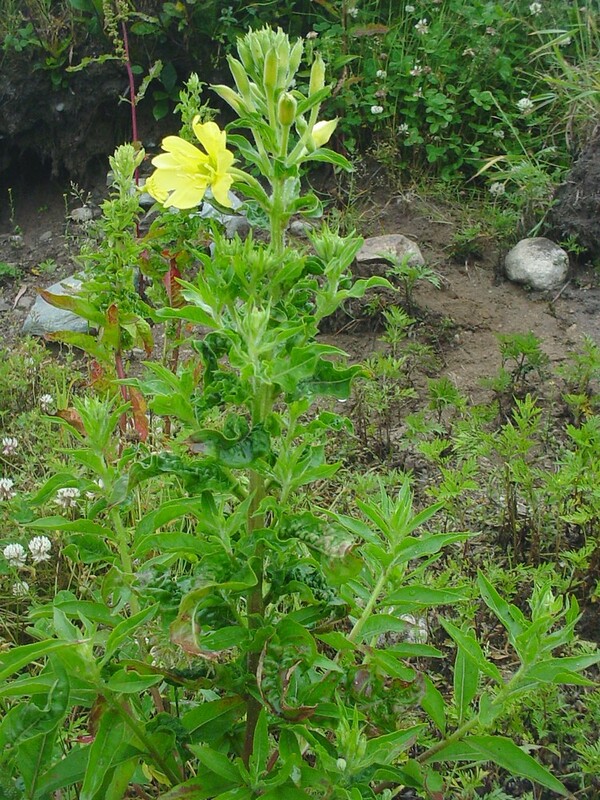 Oenothera cruciata Nutt. 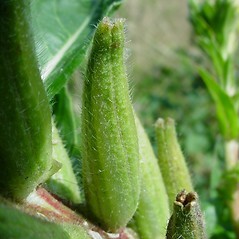 ex G. Don; O. cruciata Nutt. 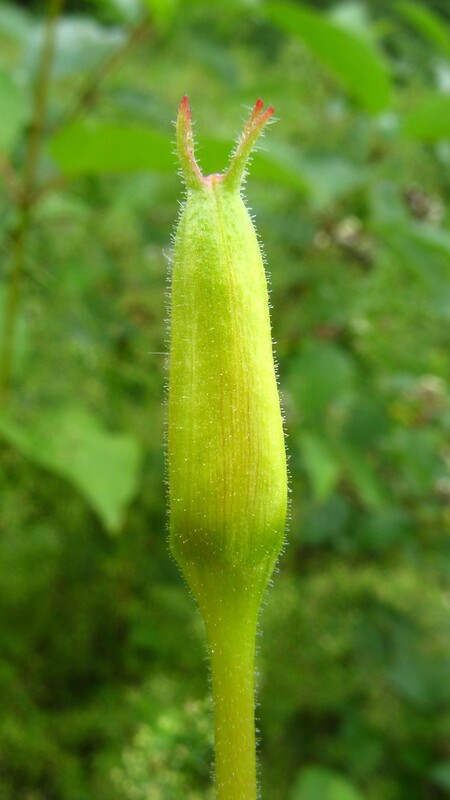 ex G. Don var. 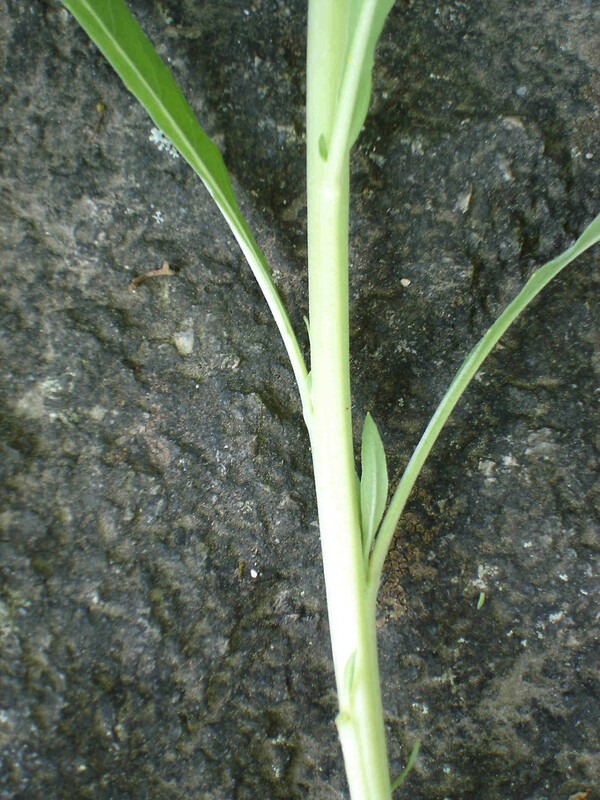 sabulonensis Fern. 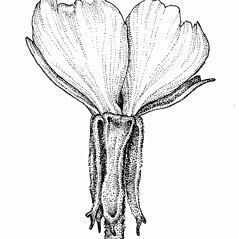 ; O. rubricapitata R.R. 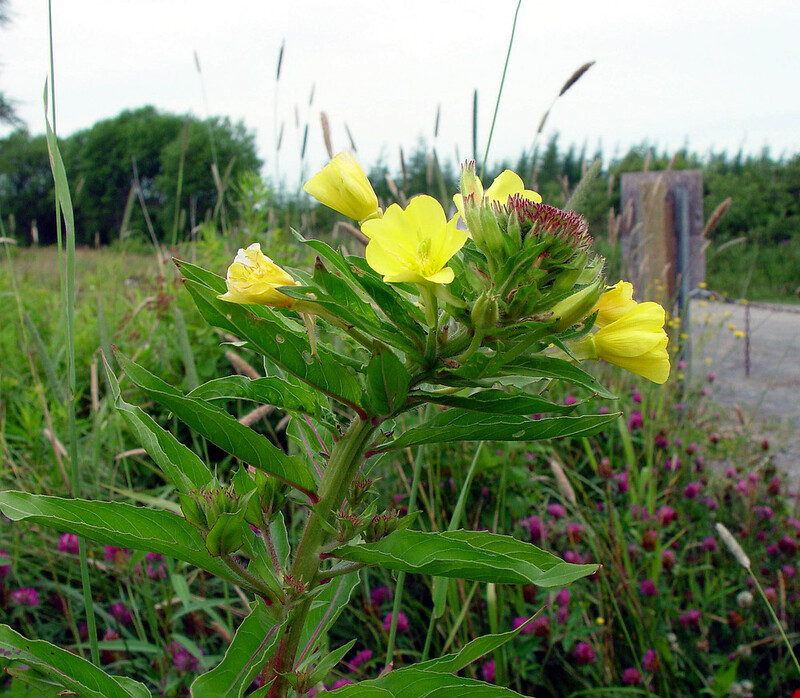 Gates • CT, MA, ME, NH, RI, VT. Fields, roadsides, waste areas, river banks, railroads.